This paper proposes a servo controller design and fault detection algorithm for speed control of a conveyor system. Firstly, modeling for a conveyor system is described. Secondly, the robust servo controller based on polynomial differential operator is applied to track the trapezoidal velocity profile reference input. Thirdly, a fault detection algorithm based on Extended Kalman Filter (EKF) is proposed. From the EKF, the estimated angular velocity indicates the encoder failure. The estimated friction indicates the mechanical failure. Fault isolation is obtained by the friction bound. Finally, the simulation and experimental results are shown to verify the effectiveness of the proposed algorithm. 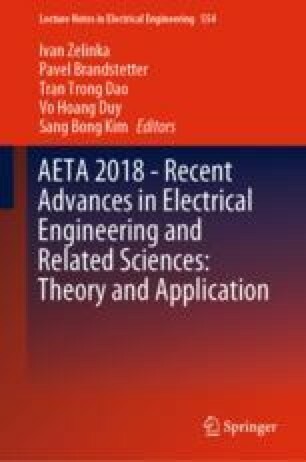 This research was supported by a Research Grant of Ho Chi Minh City University of Technology (HUTECH) (2018 year).